The 2018 Zone Concours Series schedule is now set and registration is open for the 2018 Concours School, which kicks the season off on April 15th at Porsche of Livermore. The school starts a little earlier this year, at 9:00, and will be followed by a Car Care Clinic sponsored by Griot’s Garage and the Diablo Region. There’s a $10 per person fee, lunch will be provided and the day is limited to 60 people. Please register at MotorsportReg by April 8th (search for “PCA Zone 7 Concours School” or here’s the LINK ). 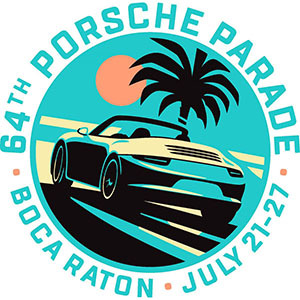 There are several rule changes coming this year, mostly to bring the Zone 7 Concours Series rules in line with PCA’s National Parade Concours Rules and to create new categories so that cars with limited engine access (991s, Cayman, Boxsters) compete with like cars and won’t have their engines judged. Wash and Shine will be renamed “Street” and storage compartments will no longer be judged as part of this Division; only interior and exterior will be judged. We hope this change lowers the bar for participation in Zone Concours events and brings out some of those clean Porsches that are driven regularly. The seven events that comprise the Zone Concours Series are listed below. 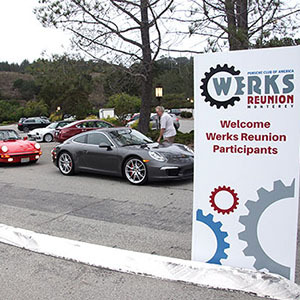 This year we lose the event that was hosted by the Yosemite Region, but Golden Gate’s event at Carlsen Porsche in Redwood City returns to end the series in October. Five of the events return to familiar locations and the Sacramento Valley and Redwood Region’s events will be held at new locations this year. If you’re not interested in having your car judged, several events will have a display-only area.